Our beloved director being ill, I thought some distraction would be in order. Knowing her love for disaster movies (which I can’t stand), I noticed 2012 at the DVD store. Having heard a little bit about it, I thought it might good even if only for the dreaded special effects. I knew something was up after the opening scene. The acting was so bad it seemed like some sort of deliberate spoof. 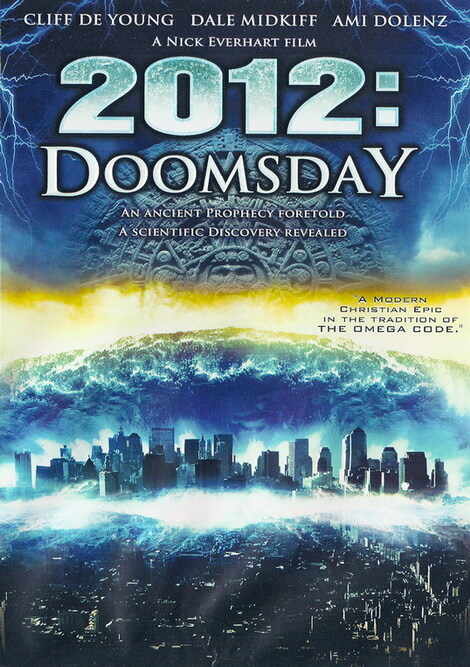 Only gradually did it dawn that I had in fact picked up 2012: Doomsday, a pile of dog crap compressed onto a DVD. This overt Christian diatribe has instantly taken out my prize for the worst film of the decade. It has absolutely no redeeming features. The actors looked like they had not got the basic concept of what it means to act, the plot was as clunky as a gearbox with no clutch, the preaching and moralising was insistent, and the cinematography was shabby. We should have stopped watching, but like with a car accident, there’s a terrible fascination about how bad the whole thing is. The script, the script – don’t get me started on the script! The whole human race should be ashamed for having invented language after this travesty. There was nothing left to do except rewatch Reitman’s Juno as an attempt to detox. The smart sassy film did some amount of healing, leaving nothing but a faint nausea from our earlier encounter. Be careful what you reach for in the video shop. I’ve learned my lesson. No more choosing from compassion!